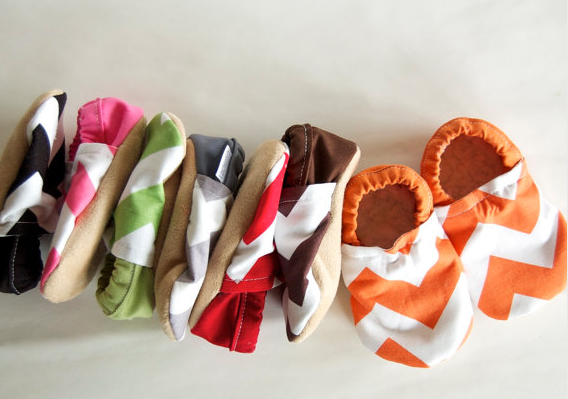 When I first blogged about Bison Booties it was to share my love for their cute chevron style I found on Etsy. Shortly after, the owner of the Etsy shop, Erica, emailed me that she would love to send Mazen a pair. She makes them by hand from her home in North Dakota. They have a soft faux sherpa insole and soft bottom. But perhaps their best feature is that they STAY ON his feet! The design with the elastic in the back and flatter front is genius. The most stylin’ feeties in town! WIN this cute elephant pair (in size of your choice) by leaving a comment below! I was recently sent this Baby Blanket Music CD to test out. The company makes lullabies out of popular music, from Michael Jackson to Elton John to Lady Gaga, which was the CD I chose. The founder and CEO, Josh Rutt is a New York-based teacher, composer and performer who put together these arrangements that will please baby and adult ears alike. We have listened to the CD a few times. Maze, at 12 weeks old, seems to like it, although he’s not old enough to sing along. The music is a little more like steel drum Lady Gaga than lullaby Gaga, but it is indeed soothing. My favorite song is “You and I” : ) The whole CD kept me on my toes while listening because I was eager how each of these famous songs would come out as a lullaby. This would make a great baby shower gift. Leave a comment to win! One person will win the CD and another the booties. If you only care to enter one or the other, say so in your comment; otherwise you’ll be entered to win both. Giveaways end in 48 hours. Check back here for winners! Unfortunately, only USA entries on this one. Please email me at Katheats at Gmail dot com!! Love those booties! And I am always looking for baby music that i enjoy as well. Great giveaway! Those little booties are adorable! I would LOVE to win the shoes for my daughter, Nora, who is two days younger than Mszen (we were due the same day, Kath!). We visited elephants in Thailand at the end of my first trimester because of my love for them so these little shoes would be awesome. Those booties are so cute! What an interesting CD concept! I’m intrigued. I love the elephant booties! A friend from college just had a little one and our college mascot was an elephant, so these would be perfect! Holy cow – I’m originally from Mandan, ND, so I would LOVE to win the booties! How cool would that be?!?! My friend is having her baby as I type this 🙂 and her theme is elephants! Those booties would be a perfect gift!! I won’t be able to meet be able to meet the baby until she is about 6 months old so I was thinking maybe a size 2. My six week old son would love those cute elephant booties!! Both are adorable! My little nephew “Nugget” would love them!! Those booties are so cute! We’re having a baby in March, and they would be just darling on tiny little feet – I can already see it! Music is great too, but oh the booties! Those booties are so adorable! Etsy has become my favorite place for finding baby things. I’m due in April with my first, a baby boy, and these would be so adorable for him! I would love to win a pair of bison booties for my little man that will arrive in March!!! I’d love the pink booties in size 0-6 mos for my daughter! These both look like great gifts! Love the elephant booties! We just found out we’re pregnant last week and I’ve been pouring over your early posts. So helpful, thanks Kath! Love those booties! Would. Love to win a pair for my baby girl! I agree with the above, the booties are adorable! 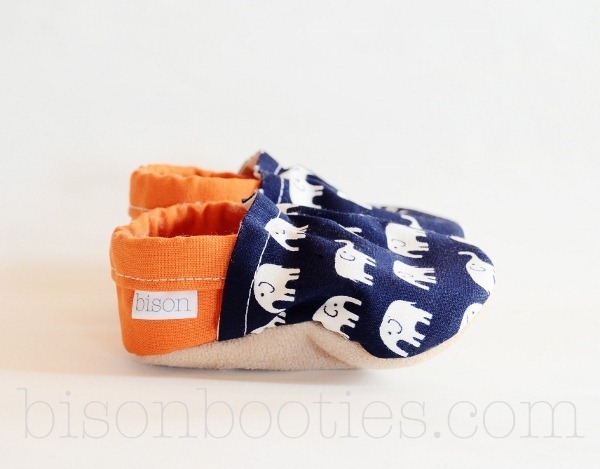 OMG love the Dinosaur Bison Booties! omg, both are so adorable! And little shoes are so hard for me to buy because they get outgrown so quickly!!! I’m having a girl in March and those booties would look so cute on her little feet. Cute! I’m 6 days away from my EDD. Oh my gosh those booties are the most precious things ever. I need them! Ahhh those booties are adorable! Those are so cute – I would love them for my 2 month old grandson. Oh these are both such great baby items! Thank you for sharing and hosting this contest 🙂 Yay for babies! Love these giveaways! Our second baby is due in April and we find out today if it’s a boy or a girl! Good thing elephants and lullabies are definitely unisex! I would love to win the cd!! My son has outgrown the need for soft soled booties but they are adorable!! Oh my, those booties are absolutley adorable! They would be THE perfect Christmas present for my 6 mo old nephew!!! OMG those booties are so adorable! I would love for my son to have a pair. The music cd would be a welcome addition to our rotation of music too! Have a great day! Shoes that stay on a baby’s feet? Unheard of! I’d love to try ’em when my 3 week-old is a bit older. Love the booties! I would give them to my nephew who will be born in January! Those booties are just adorable! Love the elephants! Those booties are so cute! Would also love to listen to some great baby/parent music when our little one comes in March! I love both of these! I’m 17 weeks pregnant and have started looking at baby stuff and have become obsessed with elephants 🙂 The lullaby CD sounds great too, my friend already made me a copy of one she had of U2 songs, so neat! Those booties are the cutest! Waiting for my next niece/nephew to arrive and these would be great! LOVE those booties and we are huge fans of the “Rock a Bye Baby” CDs so we would love to test out “Baby Blanket Music”. The booties are so cute! There is also a line of cds called “Rock-a-by-Baby” (I think) that take all kinds of artists and make the songs into lullabys. So far we have Bob Marley, The Beatles, Journey, and Weezer. If you are interested, we were able to get them through our library. Love both of these! My little man is just a week younger than yours and it is always fun to read about another mom/baby in the same stage! Love the booties! They’d be perfect for our new addition coming March 13′!! I love the booties, too….doubly so if they stay on! Our little girl is a couple weeks older than Mazen (14 weeks) and would rock the elephant ones (or the pink ones!!). I’m a new momma to an 8 week old little girl so I would love to win either! 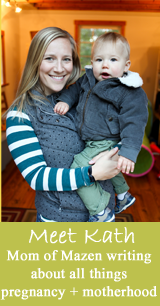 I’ve enjoyed reading along with and then clicking back through your blogs to see what you’ve written about Mazen each week as my little one hits those stages, so nice to hear what other new moms are experiencing since I don’t have many friends with babies! Adorable little booties! And they match our nursery’s color-scheme! Ohhmygoodnes… Those little shoes are the cutest!!!! Pick me, Pick me! My little gal would look darling with those on! Those booties are so cute! 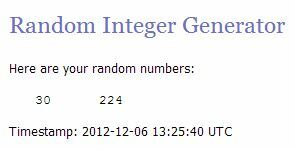 I would love to win them if the randomizer is so kind. I would love to win the Bison Booties!! They are so adorable!! A die hard UVA fan, would love the orange and blue theme! I would love to win either gift – I am due with my first (a boy!) next Wednesday! The booties are super cute, so stylish! And I am very intrigued by the Baby Blanket Music! I would live to win those Bison Booties for my 8 month old! I’m interested in the booties…how adorable! Those booties are so cute!!! I have a 4 month old nephew and a niece that is due in February! I’d love to give these as a gift!! LOVE THE BOOTIES!! I’m due in a month and they would be adorable. I’d so love to win a pair! I’m due in just 7 weeks!! I’m not due for 4 more weeks and this little one already has 3 pairs!! They are sooo cute and I have heard nothing but great things about them!! Also proud to support a business from my home state.. Go ND!! The booties are so cute! We have a little one due in a month and they look perfect for keeping little feet warm during a Minnesota winter. Also, love the concept of the lullaby CD! Love those! I checked out her site when you first posted those booties and I want a pair in each color! awww, I would love to win the booties for the baby in my belly! Those booties are so cute! I’d like to win either to give as a gift. I’d love a chance to win the booties! Love those booties! And anything that stays on baby’s feet is miracle product. I would love to win the booties. I would love to win these also. I have already purchased 2 pairs for my 2 grandchildren. I am using them for stocking stuffers. I am also from Mandan,ND and it’s so nice to see that a local young lady has a terrific business. They stay on! Awesome!!!!! Plus they are SUPER cute! Great giveaway 🙂 I’m sure my 6 month old would love either! A friend of mine told me about your blog and sent me your link today. I am 31 weeks and seeing all of the the pictures and reading your suggestions and ideas is very helpful and is making me even more excited to have our little one join us soon! Thanks for sharing and I love those booties-I’d wear em’! Love the booties! The CD looks interesting too. ahhh Elephants are the theme to our nursery!!! I would love those booties! I love those elephant booties! We just found out yesterday that our baby due in May is a BOY, so I can’t wait to start buying boy clothes and accessories! My second baby is due in February and I would love to win either one! Neeeed those booties for my four month old! These are so cute! I would love to win this pair to gift to my friend who is due in a month! I got my one month old daughter “Alli” her 1st pair of Bison Booties this last weekend. I would love to have a 2nd pair. She would love pretty cute in those elephant booties. So so cute. I’m due next week so perfect timing! Would love to win these for gifts! Those booties are just too cute! super cute giveaway…you always find the best stuff! Love the booties and a huge plus if they stay on!! Those booties are so cute! I would love to give them to my nephew! I’ve been wanting a pair of bison booties for years now!!! I think my daughter would love the booties! I love the booties! Gaga for babies is pretty fun too! Thanks! Love these!! Those booties are adorable and alternative lullabies are always a good thing. those booties are beyond cute, we had the hardest time finding shoes for our first so these would be great for our second which we are currently expecting! and we love music in our house. our toddler loves to dance to all kinds of music! Super cute!! Would love to win either! I have a Pandora station on my phone that plays lullaby music out of “real” songs and it’s fun to guess what they are. The booties are adorable and look like they would be easier for little ones to walk in (I don’t like putting big clunky shoes on my son). What a great giveaway! Both items are fabulous. My 5 month old son would love either one! Bison Booties are the best! I have purchased five pairs in the past 16 months! Aww! Our little 4 month old boy is obsessed with his feet AND music, so thank you for the giveaway! My daughter will be three weeks old tomorrow! I would love either one! Booties would be awesome for my just over 1 year old!! Those booties are the cutest things! We love the lullaby versions of songs – you should check out the Rockabye Baby channel on Pandora. Lots of contemporary lullaby songs. i would love the booties! thanks for hosting! I’ve been eyeing those booties for my 3 week old daughter, and the music sounds fun! Thanks for the giveaway! Awfully cute! 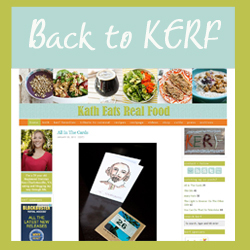 I’m in my second trimester and always enjoy reading along with your babykerf posts week by week. Thanks for sharing! Those booties are so cute! I love elephants! They would be perfect for my 9 month old daughter to help keep her feet warm! I would love either the CD or booties. We are expecting our 2nd and would love to add one of these to it’s special gifts! I love these booties! I have twins and they could both wear them. They also love music so that would be amazing! I would love that pair!!!! Those booties, I want! LOVE THEM!!!! I would love to win either, for my little one due next summer! I’m sure my 2yo daughter would enjoy the CD in the meantime! My little 13 week old would love either of these cool items, but probably would prefer the lullabies. Those booties are adorable! And lullaby Lady Gaga? That sounds genius! Hello, my daughter is about to turn six months and I would just *love* to give her a pair of those sweet booties! Thank you! I would love to win either for my 9 month old! I would love to win the booties for my niece! Both of these would make such unique gifts! I adore these booties and I would love to win a pair as I am expecting in July!! I know a bit early to get these but they can always fit as they grow!! 😉 BTW Mazen is just so cute!! I really enjoy reading BERF as I am going through my first trimester anxiously waiting to meet our little bundle of joy! I love all your advices!!! Keep them coming! love those booties!!! super cute- and would love something to stay on my one month old’s feeties! Such cute booties! Hope I win! So SO So cute! So functional and adorable! Knowing they stay on babies feet is a plus as well!! I am expecting a baby boy in April – would love either one for him! I would love to be entered into the giveaway! Such cute items 🙂 particularly love the booties! I would love those booties!!! They are so cute. Hi, I would love to try these for my daughter who was born only a week or so after Mazen…she was born on Sept. 12th. It has been interesting to read your posts about how he is doing and progressing as I watch her do the same, only about a week behind him. So cute! Thanks! I absolutely love those elephant booties. My son is due at the end of January. I would love to win! Cute booties and the cd sounds great too! Would love those adorable booties!!! I have a three monther who would love either of those goodies! The booties are so cute! My nephew would love them I’m sure! I would absolutely love the CD! I just gave birth on Saturday and have thoroughly enjoyed your blog while going through my pregnancy! I, too, had a natural birth with the help of a doula and your birth story was so helpful in my own preparation! Love the booties… Music is good too! THe booties are adorable! I hope I win! Would love to win for my cousin who had her son today! Those booties are ridiculously cute! I also am looking for a good baby music CD! Goodness gracious, those booties are precious! And I am always amazed (and incredibly thankful for) booties that stay on little adorable feet! I absolutely love the bison booties. Been thinking about getting a pair of the blue and orange elephant ones just haven’t done it yet. It would be great to win! Expecting our second baby in Jan. I love the booties, I would love to find something that would stay on my 6 week old’s feet. It’s her mission in life to kick off all socks. Those booties are so darn cute! Contest or not….those booties are absolutely adorable! That woman has talent!! I would love the Bison Booties since I graduated from NDSU whose mascot is the Bison!!! Those booties are awesome! I can’t ever find anything that stays on Ks feet & he hates shoes with hard soles. What great booties! My little baby is due January 19th, not sure if we’re having a boy or a girl yet but these booties are awesome! I’d love to win them. I have an almost 5 month old and love both of these items! my son just started crawling and would look so cute in those booties! Oh, those booties are so cute! I was just thinking about how I would like to buy a pair of slipper-like shoes for my 18 month old for around-the-house shoes. Do they come in sizes that large? Great giveaway! Both products are great!! Our little one arrives this Feb. Thanks for sharing great baby items. I have ONE pair of booties that stays on Delaney’s feet. And at almost 3 months, she is starting to outgrow them. Would love some more! Would also love a cool cd. We listen to a lot to a Disney station I created on Pandora. Miss D loves when Mommy acts out all the songs. Those booties are awesome! My little man is always “running” out of everything I put him in- its a full time job keeping socks on his feet! I am due on Dec. 20 and would love to win the little booties! Oh my goodness, those booties are too cute!! And the CD would be awesome too because my husband and I were just talking about how we need to incorporate a CD into our bedtime routine with out 4 month old! Those booties look so cute and would be great for my son as it is getting colder here in the Mid-West. That CD looks awesome! We listen to lullaby music every night as part of our routine and man am I getting sick of the typical CD’s we have! Great give-a-way! With a baby on the way, I would love the booties or the CD!! Those booties are tooo cute! I’d love to be entered in both giveaways! Those bison booties are adorable. Love the booties….wonder if they make ’em in my size 🙂 My 6 month old would look too cute in them. Both of the giveaways would be loved by my lil guy. I have a 9 month old and am 9 weeks pregnant with #2, I would love to win either of these! I love the elephant booties! I worked in a daycare center for several years and we had lots of lullaby cds like that, so much fun and a nice change from traditional lullabies. Such cute booties….they remind me of baby Toms! I’d love to win the booties! Ohhh my, I absolutely adore the shoes!!! I’m definitely checking out her Etsy site! The CD sounds fun too! I’d love some booties. Our 9 week old baby boy’s room is all chevron. My son just turned 8 months and is crawling and pulling up on things. The bison booties would give him some much needed extra grip! Our first baby is due Thursday (although it’s not looking like she wants to come out anytime soon!). Either of these would be a great welcome home gift! These would look great on my one month old! Oh! I want to win both of these! Or either one! I love the booties, I love the music. I have a 12-month old who is always walking and bopping to music. I would love to win either but the booties are especially cute! I just love the baby booties!! Adorable! Would love to give one of those to my nephew-to-be! I would prove to win either, I’m due in April! Gah those booties are to die for. Love the elephant print! The CD sounds pretty nifty as well. Those presh booties would look oh so cute on my 11-month old daughter who is SO close to walking! One of my good friends is having a boy and those booties are adorable! She/he would love them! 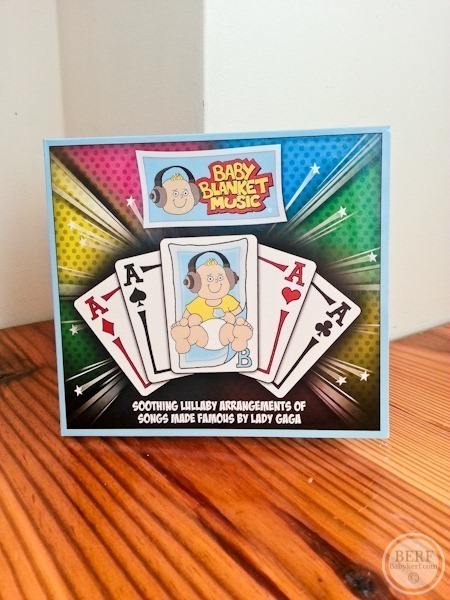 The Lady Gaga CD sounds interesting as well – how DO her songs sound as lullabies? Those booties are SO CUTE!! I have baby lullabies to the tune of Journey and The Beatles and both are very soothing – I would LOVE to hear what the Gaga one sounds like! I would love to win either the booties or the CD! They both look cute! Those booties are adorable!! Pick me, pick me! Oh my goodness – my daughter would for sure love either! And then I will buy myself an adult size of those shoes! Need a gift (or two!) for my cousin who’s due any day now. Would love either item! Love your blogs. so cute! We’d love a pair for our valentine baby. Aw, those booties are so cute! I love the little elephants. My cousin is pregnant with a boy and is due in February – I’d love to give them to her as a baby gift! My son was born the same day as yours! I did an elephant theme in his nursery, so the booties are perfect. I also have yet to find music that I like for him, so the CD would be great! I would LOVE to win either one of these for my baby girl who is due to arrive in March!! I love those baby shoes! My toddler would pull them off in .3 seconds, but I’m already stocking up on cuteness for round two hopefully coming spring 2014. What can I say? I like to plan ahead! Both are great gifts and we’d love either, but those booties are adorable and it’s great that they stay on! I can hardly ever get socks to stay on his feet. Someone needs to invent sockspenders for babies! I have been coveting these booties! I have twins so I will have to buy a second matcher pair if I win! Love those! My little guy would look so cute with those on his toes! Btw, love the motherhood posts, as a new mother it’s great to read about your experiences – as we’re just a month behind you. My son is nine weeks old and I would love a warm pair of booties that stay on his feet! They’re adorable! The booties are great and would be perfect for my baby girl. No shoes seem to fit her! My husband would love to sing along to the CD while dancing with our angel! Love the booties! CD sounds awesome as well! I just love these type of booties. I had a pair similar that were not as warm for my daughter when she was too small for shoes! Hard to believe that was 4 years ago. Now we are expecting a new baby boy after the new year; I would love to try these for him! Hope you’re doing we’ll Kath! Great stuff! Would love to win. Cute booties.. they would look great on my new nephew Lincoln. The booties are so great! What a fun give-a-way! I’d love to win either. Thanks! Love the booties!! My son is 12 weeks old, too – he’d look adorable in them! Love those booties! Socks never stay on, who knew babies that don’t want need shoes!! Hi! Such cute booties! I’m about 9 weeks along now and would love to win these to stow away for when the time comes! Oh my goodness! I would love those! I’ve been keeping my eye on those! I’d love to have them for my little guy (due in 4 weeks!?!?!). Hope you’re doing well! Well it looks like everybody wins with these two items! Not only are the shoes cute, but they stay on! Awesome! And no more listening to children’s music, parents can have fun too, especially in the car. I need these for my baby!! such cute booties! they’d look adorable on our little nugget when s/he pops out in may! I would love to have either to give to my sister-in-law, who is expecting her first child, due in May! Those booties are the cutest! I’m always interested in “different” styles of kids music! Thanks for the great give away! Elephants are the theme of our nursery! Would love love love them! Those booties are adorable! If I don’t win, I will have to buy a pair for my little one! To cute! We love Bison booties!!!! North Dakota made! I’m going to be a first time grandma in June. I am so excited!! I’d love to win! Those botties look so cute. They would look so cute on my little boy who is about two weeks younger than Mazen. Those booties are so cute!! My sister’s tiny little guy, who decided to come 6 weeks early, would love those little booties! Love both of those items! My niece would like either of those fun items! The booties are so cute! I would love to win these! A couple of my friends just had babies, so these would be a great gift! Oh the booties are so cute! The theme for the nursery is a jungle theme so these would be perfect for the little guy!!! Thanks! These booties are the cutest! I would love to win a pair. These booties are too cute! We live in Louisiana, but my husband is from Colorado. He is a Broncos fan of course and would love it if our little 5.5 month old boy Paul was wearing his team’s colors! Would love love love the CD – my kids love to have dance parties and my 16 month old as what gets what we call “happy feet” when he hears from fun tunes! I love the fact the booties are handmade and the CD sounds so interesting! I would love, love, love to win either for my baby girl, Harriet! I may end up buying some of the booties either way! I love Bison Booties and Erica has created such a wonderful product! My little girl was slipping and sliding all over the floor with socks on & Bison Booties were the ticket! The booties are so adorable, anything that will actually stay on little baby feet is great! I’ve listened to a few lullaby remixes but haven’t gotten any yet, it would be fun to listen to. These are cute, fun products. I’d love to be entered in the giveaway. I’d love to win either! But everyone will have to share (I have 2 month old triplets)!! Size 0-6 for the booties would be best. Thanks so much! I have been thinking about getting some of these for my 5 mo old, love the music too! i love these booties!! My little boy would love these!!! They are so cute!!! My friend, Meg (another blog reader!) is pregnant and the boots would make a perfect shower gift! oooh!! I’d love to win either one of these for my nephew! Ohhh! I would love me some booties! Evelyn was born on 10/31 and she wants a pair just like Mazen. She has a big crush on him…sshhhh.. don’t tell her I told you! I am looking forward to having these booties for my son. It’s the perfect alternative to shoes for itty bitty feet. The cd would be perfect as well as anything to help calm baby down is awesome and worth the try! We just found out we’re expecting our first, these are so fun!!! I so want these booties. I NEED these booties. My baby is 6 days old and has absolutely nothing (not even a pair of socks, haha) to put on her feet. Fingers crossed for luck (in the smallest size, hee hee)! I would love either for my little guy! My little guy would look so adorable in those booties! I adore elephants too! My niece would look so cute in those! Baby shoes that stay on are amazing! I love non-baby baby music! My daughter is expecting my first grandchild in May. I would love to win either item. I am in love with those cute booties!!!! I L.O.V.E those booties!! They are so cute!! awwww so adorable! I would love to win these! The elephant booties are sooo cute!